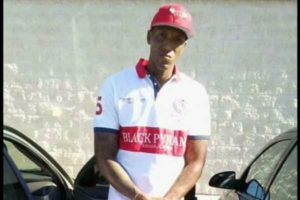 COCOA, Fla. — A group of teenagers recorded a disabled man as he slowly drowned in a Florida detention pond earlier this month—swearing, laughing and calling out to him that no one was going to help him get out of the water. “They were telling him they weren’t going in after him and that ‘you shouldn’t have gone in there,'” Yvonne Martinez, spokesperson for the Cocoa Police Department, told reporters. Five teenagers, ages 14-16, who had been at the park smoking marijuana, saw Dunn enter the pond. However, instead of answering his cries for help, they turned on their cameras and began mocking him. “Get out of the water, you gonna die,” one called out. Dunn soon went under the water, and one remarked, “Oh, he just died,” to which the youth broke out into laughter. They continued to watch the pond, noting that the man had not resurfaced. None of the teens called 911 or attempted to help him, but instead uploaded the footage to Facebook. “While the incident depicted on the recording does not give rise to sufficient evidence to support criminal prosecution under Florida statutes, we can find no moral justification for either the behavior of persons heard on the recording or the deliberate decision not to render aid to Mr. Dunn,” the office of Brevard County State Attorney Phil Archer said in a statement. “We are deeply saddened and shocked at both the manner in which Mr. Dunn lost his life and the actions of the witnesses to this tragedy,” it said.